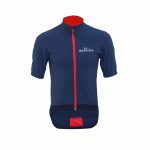 In many ways, the Galibier Mistral Lite Foul Weather Jersey competes directly with the Castelli Gabba 2 Short Sleeve Jersey. The Gabba 2 retails anywhere between £70.00 and £150.00 depending on colour. The Mistral is £54.77 but you only have one colour choice. I bought my Mistral Lite last year and I never really ‘got it’. I was too hot, it was too clammy and with the zip down, it felt like a parachute. Once I stopped thinking of it as a shirt, and started thinking of it as a short sleeved jacket though, the penny dropped! 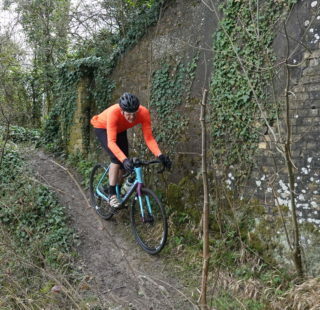 Riding through a cold, damp spring, paired up with arm warmers, it was much, much better. The other night’s ride was a perfect example of ideal conditions for the Mistral. Cold, and getting colder. Persistent drizzle with back roads and trails covered with a coating of sloppy mud. If anything was going to test this thing, this was it. Five minutes into the ride I regretted not putting on a thicker base payer and thought about turning back to get one. I was however, a little on the drag so I pressed on. I needn’t have worried about being cold, because soon I wasn’t. The high collar (helped by a buff) kept out all the draughts, and I soon reached a decent working temperature. 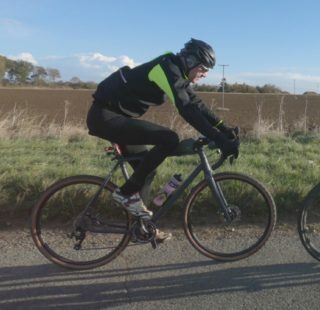 A light, but cold, easterly whipped the heat away from my legs – yes I only had knee warmers on! My fingers were chilled as were my feet. My core however, remained toasty. It wasn’t long before the drizzle became annoying. Our glasses misted up, coated with moisture , mud, or a combination of the two. My arm warmers were wet through and the windchill was obvious. An hour later, it dried up. My body was perfectly dry, no water had got in and yes, I was still warm. You know that ‘boil in the bag’ feeling we all hate so much? 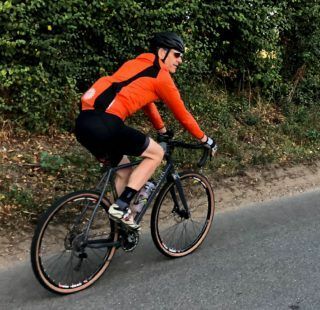 The one uniquely associated with riding in shower or waterproofs? It just doesn’t happen. As the ride progressed, it became colder and colder. My Garmin said it was 4 degrees, but the damp and mist made it feel much worse. Nevertheless, my body remained warm enough, keeping a good, working, temperature throughout. At the bus stop, where we normally have a last few minutes natter when the ride is over, we compared notes. Basically, there was no difference. He was as warm and dry, as I was. The only real difference we could discern was cost. At a snip over £50.00 it seems the Mistral is as good as the Castelli – at least in purely functional terms. The moths in my wallet were less exercised than those in Rich’s so I reckon I am on a win there! 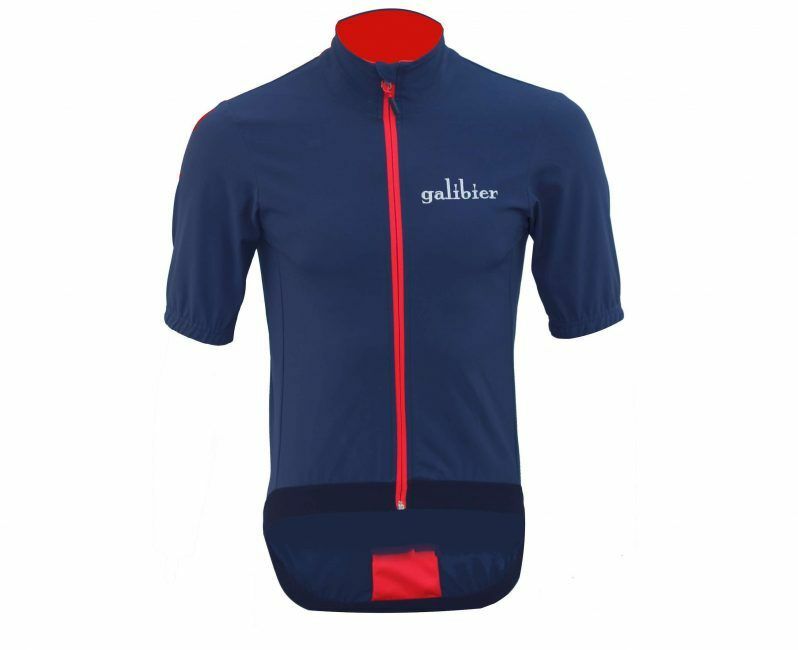 If you follow the link to the Galibier site, you will be able to read about the main features and technical aspects of the garment. From my perspective then, the jersey is rugged and well made. (It has survived a slide down the road without a mark). I wish I could say the same for my hip and leg! It fits well and as long as you don’t have the zip fully undone, it doesn’t flap in the wind. It is plenty long enough at the back with grippers on the (long) tail to stop it riding up. I like it and thoroughly recommend it. Maybe the only criticism, and this could just be a generic thing, is that it has a narrow range of use. Much colder and I’d argue that it wouldn’t be quite warm enough. I probably wouldn’t plan to use it much if the temperature hit double digits either. On a cold spring evening, it was absolutely perfect and I couldn’t have wanted anything else. More colour choice would be nice. A bright orange option would help with visibility on dull days. 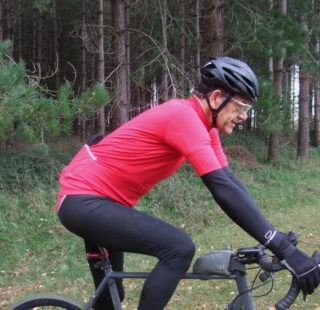 One thing though, don’t wear this without a base layer!